Trolly Stop, Business Center, Meeting Room, NO Pets Allowed. 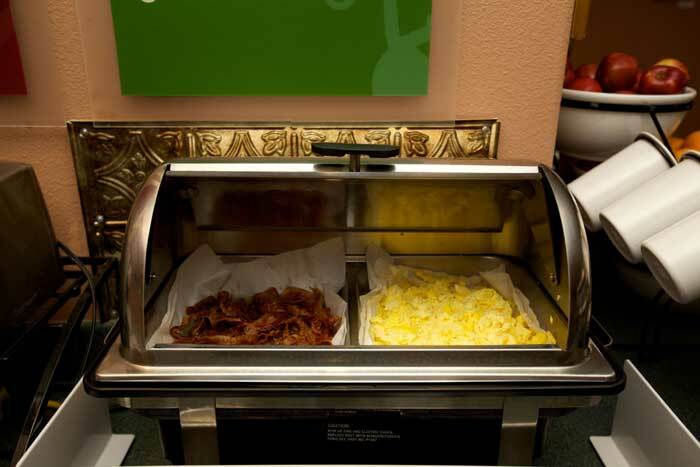 Start your day off right with our Free Hot Continental Breakfast with eggs and breakfast meats. Take a refreshing dip in our outdoor Pool and Spa. Fridge, Microwave, Cable TV, Coffee maker, Iron and Board, Hair Dryer and more. Family Suites with extra bedroom and up to 3 separate Beds. Enjoy our Thursday night Farmers Market along with our old Mission. Welcome to Lamplighter Inn Downtown San Luis Obispo Ca. Lamplighter inn & suites hotel in San Luis Obispo, Ca It's no secret that San Luis Obispo — known by the locals as SLO—is a gorgeous central California town replete with attractions, character, sunshine and charm to spare. With so much to do—from beach excursions and wine country trips to Hearst Castle tours and trips to our famous Farmers Markets—you'll want to stretch your vacation dollar as far as possible and Lamplighter Inn and Suites in San Luis Obispo can help you do that. When you stay at our Lamplighter Inn & Suites in San Luis Obispo, you'll be treating yourself to comfortable accommodations for your family without shelling out inordinate amounts of cash. Our San Luis Obispo hotel's many amenities and convenient location make us the perfect addition to your family's budget-conscious vacation itinerary. We also have military discounts at our San Luis Obispo Hotel. 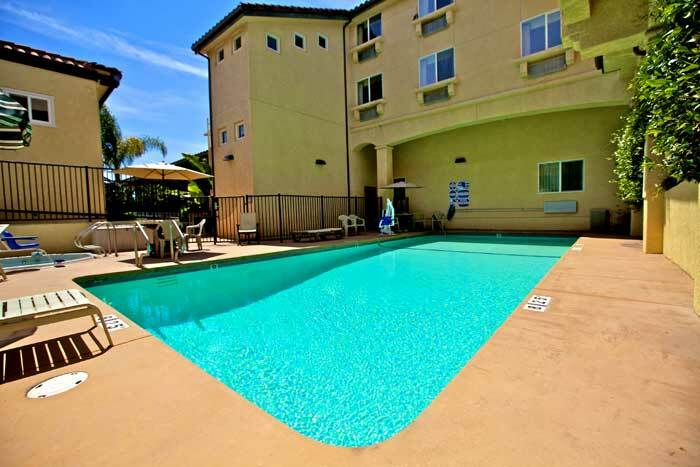 Why Stay at Our San Luis Obispo Hotel? 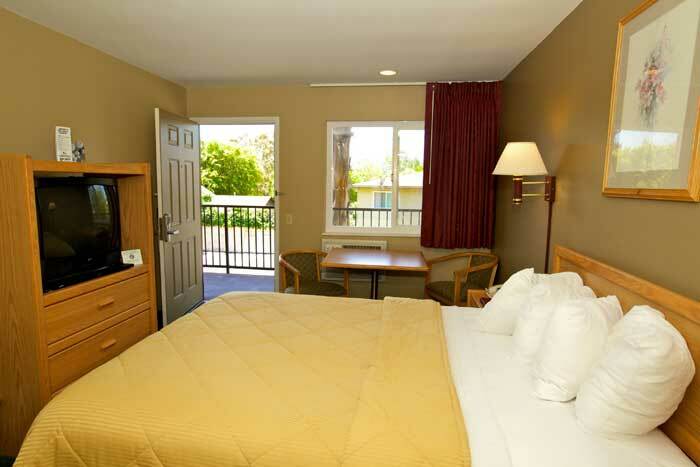 Conveniently near the airport in the heart of San Luis Obispo, Lamplighter Inn and Suites Lamplighter is close to Motel Inn of San Luis Obispo, Mission San Luis Obispo de Tolosa, and Dallidet Adobe and Gardens. Also nearby are Fremont Theater and San Luis Obispo Little Theatre. Lamplighter Inn and Suites of San Luis Obispo California Hotels and Motels has a spa tub, a 24-hour fitness center, and a seasonal outdoor pool. Complimentary wireless Internet access is available in public areas. A complimentary breakfast is available. The staff can provide concierge services and wedding services. Additional amenities at this San Luis Obispo Hotel is a Art Deco property include multilingual staff, laundry facilities, and coffee/tea in the lobby. 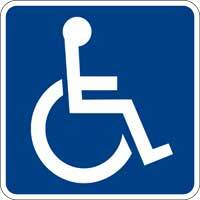 Complimentary self parking is available onsite for guests. The property has designated areas for smoking. Rooms open to balconies. The 77 air-conditioned guestrooms at Lamplighter Inn and Suites Hotel in San Luis Obispo California include laptop-compatible safes and washers/dryers. Beds have Select Comfort mattresses and premium bedding. 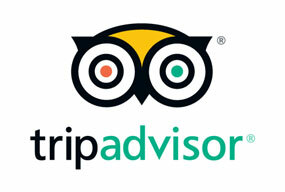 Guests can use the in-room complimentary wireless high-speed Internet access. Televisions are equipped with premium cable channels. All accommodations provide desks and complimentary weekday newspapers; free local calls are offered (restrictions may apply). Bathrooms offer shower/tub combinations, hair dryers, and complimentary toiletries. All units feature microwaves, refrigerators, and coffee/tea makers. 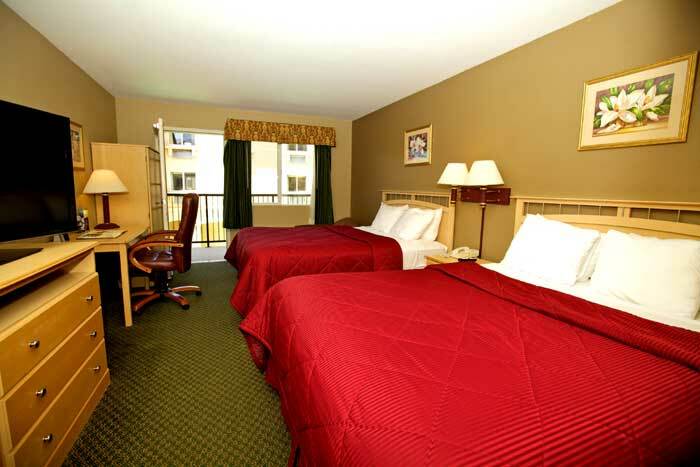 Additional amenities include irons/ironing boards and blackout drapes/curtains. Housekeeping is offered daily. 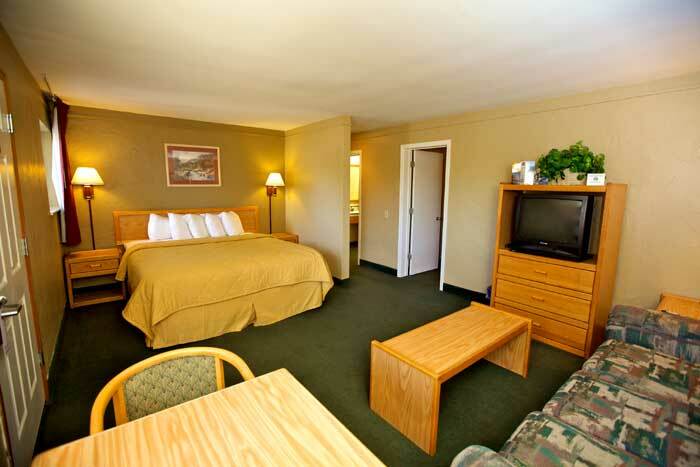 This Inn is apart of all great San Luis Obispos Hotels and Motels with great tradition or hospitality and lodging. Join us for a THREE-DAY RACE SLO FESTIVAL! Friday, April 26 introduces our first ever YogaMusic Fest. Featuring local DJs, Yoga workouts: include Sweaty Strength Yoga, Dance Party Yoga, and Vinyasa Flow. Vegan, Gluten Free and Hot Yummy Food, Beer, non-alcoholic drinks and Whalebird Kombucha for sale. Sunday, April 28, the Central Coast’s largest Running Festival culminates in the Half Marathon and Relay Race traversing the rolling green hills and iconic town of San Luis Obispo. Whether you’re running, walking, volunteering or cheering this is a weekend not to be missed! Come out and experience why San Luis Obispo has been voted a Top 10 National Destination and one of the Happiest Places in America. Benefiting the Land Conservancy of San Luis Obispo. Government : Here you'll find services and information for residents and visitors of San Luis Obispo County, including voting information, official records, taxes, community services, employment opportunities with the County, and local areas of interest. Welcome to our great hotel in San Luis Obispo California with affordable rates and cheap budget discount lodging. Lamplighter Inn Downtown SLO welcomes you to our budget hotel in San Luis Obispo California. Lamplighter Inn Downtown SLO will provide you excellent customer service with great amenities in comparison to all Hotels and Motels in San Luis Obispo California. Please visit us on your next stay in San Luis Obispo California and let us provide you with 4 star hospitality for 2 to 3 star budget rates. Lamplighter Inn Downtown SLO has been providing lodging and accommodations in San Luis Obispo California for several years and looks forward to providing our valued customer and business traveler with the best service in San Luis Obispo California for Hotels and Motels in our local area. Book direct on our website and save 10% on weekdays and 5% on weekends. Stay 2 get 3rd night FREE. Free night applies to least expensive night. Available during winter only. Stay midweek and get a 15 % discount. 2 night minimum stay. Higher rates on weekends. Available during winter only. Start your stay on Sunday and get a 20% discount. Midweek 15% and higher rates on weekends. Available during winter only. © 2018 Lamplighter Inn Downtown SLO. All rights reserved.